Poems Published Online at Driftless Review | MARK JAY BREWIN, JR. 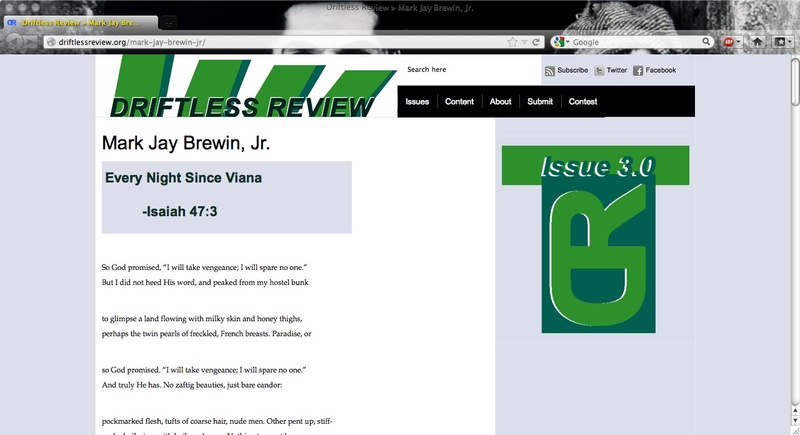 I am so very pleased to announce that my poems “Every Night Since Viana” (top of the page) and “On Locks” (bottom of the page) were published online this yesterday at Driftless Review. Please click the links and check out my piece as well as all the rest of the issue.